Whether you are a freelance writer who is dealing with some local clients that do not understand SEO theory, or you are a larger company who has been approached by a new online business, you probably are familiar with the cynicism and scepticism that can sometimes meet content creation ideas. In the age of the internet, many people do not think about the internal dynamics that drive what content they see when they search or browse, but we have the ability to explain to people how this works. Many webmasters and business owners still have little to no clue about what content creation can do for them – and it’s not all related to SEO. The task falls upon us to help them see the light; we’ll discuss how you can sell content marketing to sceptics in the following article. The biggest direct benefit that a content marketing strategy can have for an online business is a boost in sales. When companies engage with the masses through blogs, social media and videos, they provide these individuals with ample forms of content that may provoke sharing. Over time, this content creates the conditions for viral sharing, word of mouth references and plenty of awesome paid marketing opportunities. We don’t want to be pinging URLs to bland product descriptions in order to attract visitors – we want to instead attract people with vivid infographics, informative videos and well-written opinions. This content will then produce the conditions that encourage more people to browse and shop on the website in question. With more and more competition arising on the internet every single year, it is becoming more difficult to permanently retain the business we work so hard to earn. In ages past, it was easy to keep the loyalties and business of consumers – they often didn’t have any other choice. 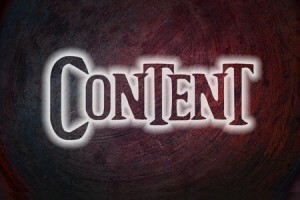 Content marketing will consistently remind your clients, subscribers and customers – through email, social media, direct mail, paid marketing and more – that you still exist and that you still value their business. Many people are subconsciously attracted to brands that provide “free” benefits in the form of well-produced content. You want to employ every card in your deck possible to keep these customers coming back, and great content (with even better marketing) is the way to do just that. Last but not least, content marketing is an ideal way to shape, mold and create a brand recognition element for your business. The age of the internet has resulted in many cookie-cutter enterprises; we’ve all stumbled across online stores that look just like every other one. How can we break that dynamic and stick out above the rest? A well-coordinated web design can do wonders, but a structural brand loyalty can be built even more by promoting well-produced content. When you share video, audio, images, articles and more, people begin to create a connotation between the quality of this content and the quality of your brand. Pinging URLs to a mass audience isn’t good enough – you need high-quality content, well-marketed approaches and a coordinated brand presence in order to benefit from these efforts. When combined, however, they are an unstoppable trio.